Car accidents occur every day. Although many people do not realize they have the right to take legal action to secure compensation. 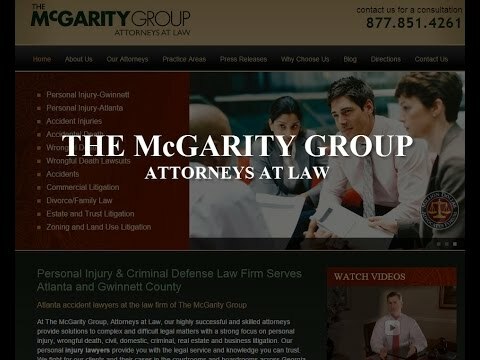 If a negligent driver causes you injury, you should contact one of the skilled attorneys at McGarity & Efstration, LLC immediately. Accident Questions? We got answers. What information should I gather after a car accident? Gathering the necessary information after a car accident is essential for your case. You should write down the names of all parties involved in the accident and their addresses and other contact information. Also take down the license plate numbers of every vehicle that was in the accident. Last, be sure to take down the insurance information of the other drivers. Do I have to take legal action immediately? It is in your best interests to contact a Gwinnett County auto accident law firm immediately after the accident. According to the statute of limitations in Georgia, you have two years from the time of your injury to file a lawsuit. If this time expires, you will be unable to take any form of legal action. Should I seek medical attention even if my injuries appear to be minor? Always seek medical attention after an accident. Some injuries do not fully manifest until a week or two after an accident. For the sake of being appropriately compensated, you must seek medical attention immediately so your injuries can be documented. Should I call the police? Yes. As a Gwinnett County automobile accident law firm can explain, you should always contact the police in the event of a car accident. Tell the police exactly what happened—but be sure to avoid admitting any level of fault. Can I leave the scene of the accident if I am not hurt? Never leave the scene of an accident. It does not matter if no one was injured in the collision. Leaving the scene of an accident is against the law and you will face criminal charges if you do. Additionally, doing so can make the job of your Gwinnett County car accident attorney more difficult. McGarity & Efstration, LLC is here for you if you are a victim of an auto accident. Our experienced attorneys look forward to assisting you every step of the way. Contact us today by phone at 877.851.4261 or online to receive trustworthy legal care from a team of dedicated professionals.